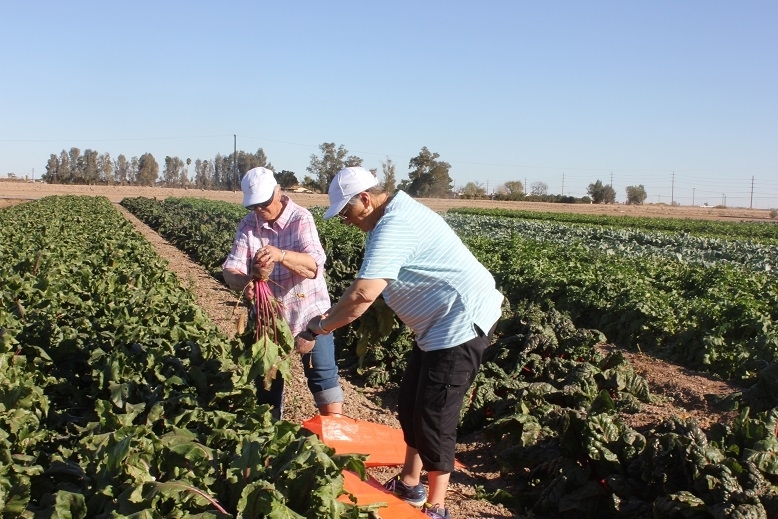 The Imperial Valley's beautiful winters have long attracted winter visitors to the area, and most come very curious about what's growing throughout this region. 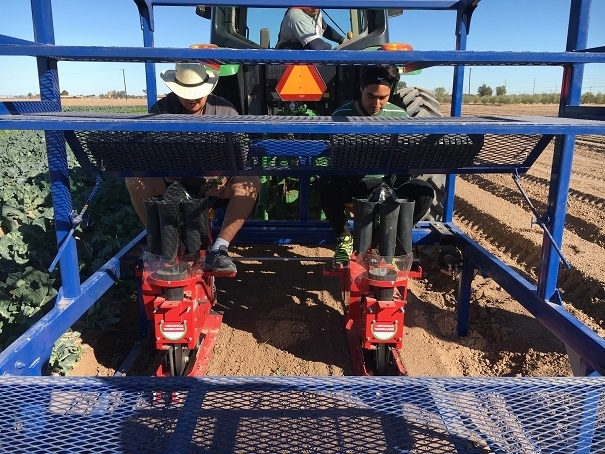 Since 2001, the UC Desert Research and Extension Center (DREC) has showcased Imperial County agriculture and the research conducted at DREC through their winter tours. Farm Smart has seen over 139,000 visitors since it began. These participants come through our K-12 field trips to the farm and the winter tours. 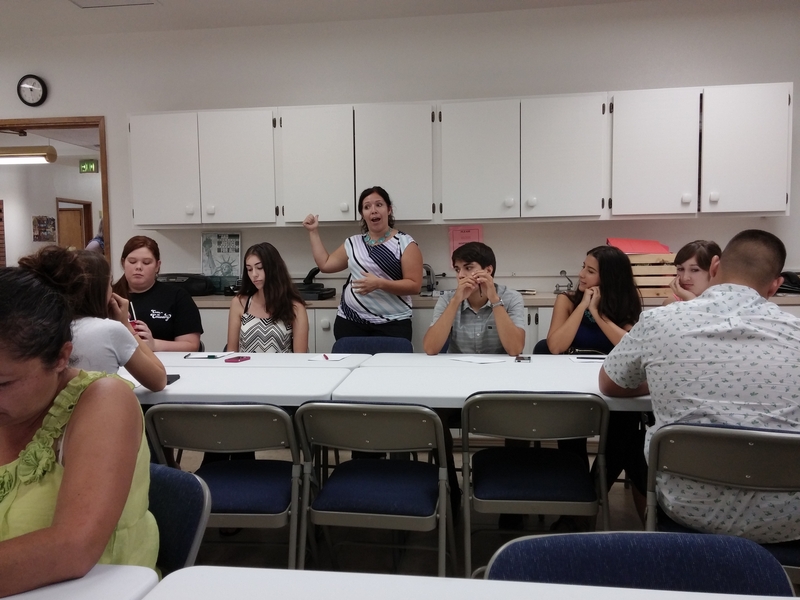 This year's tours began Monday, January 29, and run through February 23. 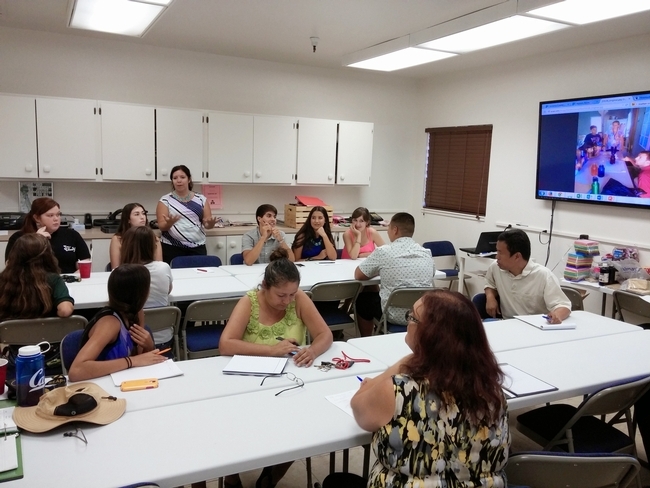 Visitors to this year's tours will be treated to a program designed to educate the public about Imperial Valley and Yuma agriculture, water delivery and irrigation, and natural resources issues. 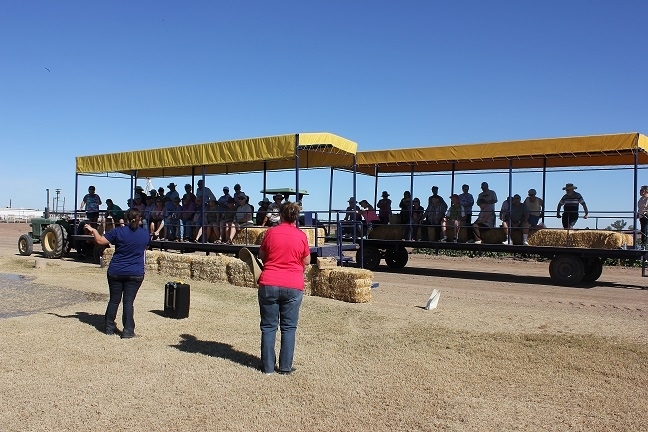 In addition to our regular winter tours, Farm Smart will feature specialty tours this year. Sunrise on the Farm will be a breakfast tour taking place on February 7th and 22nd and Dinner on the Farm will be a date night themed tour with date appetizers and a tri-tip dinner taking place on February 14th. 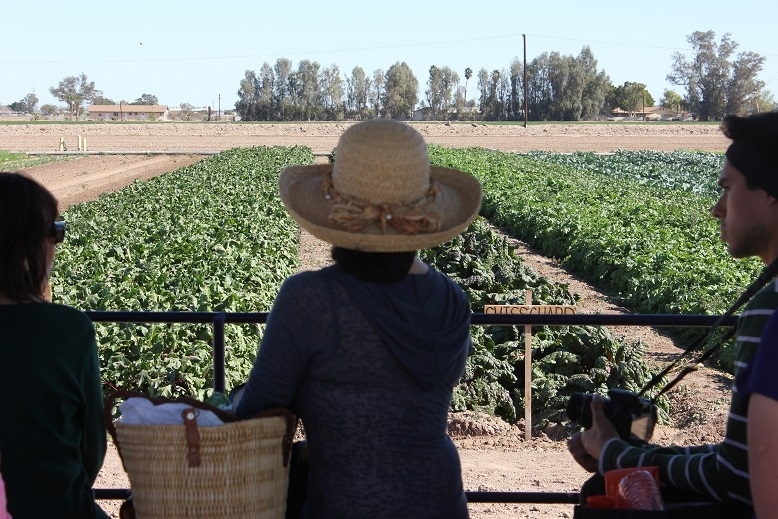 While many tour guests are winter visitors staying in the Imperial Valley, Yuma, and Indio the tours are open to the public at large and we encourage anyone wanting to learn more about valley agriculture to attend. The tour will feature a recipe using local products. Stephanie Collins, Farm Smart Community Educator, will demonstrate a delicious raw cauliflower tabbouleh to highlight the valley's cauliflower production. 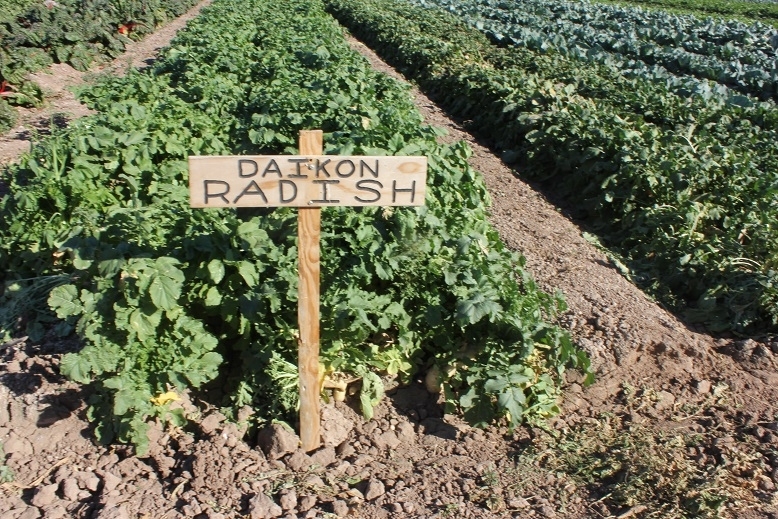 After the tour of the 255-acre research farm, the wagons will stop at the 3-acre Farm Smart produce garden for harvesting. This year's visitors receive a large bag to harvest carrots, turnips, beets, daikon radishes, red radishes, cabbage, broccoli, cauliflower, romaine lettuce, spinach, iceberg lettuce, swiss chard and more. Seed for the crops was donated by Golden Valley Seed, and transplants were donated by Keithly-Williams. 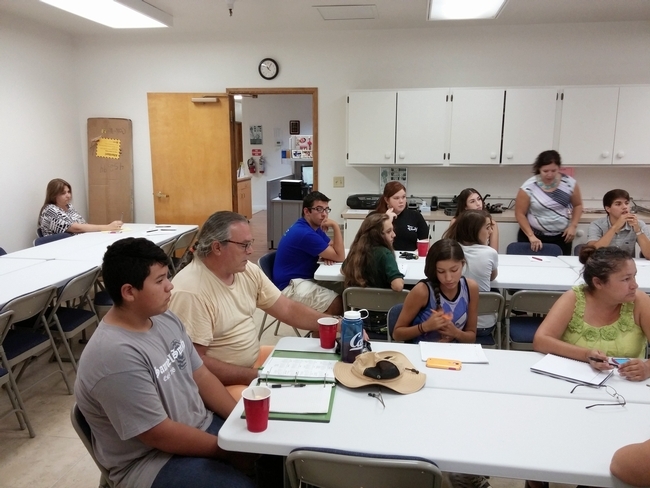 Visitors end the tour with honey tasting of local honey and door prizes donated from local organizations, including Farm Credit Services Southwest, Jordan Implements, RDO, Glenna Sparks of Agriculture More Than Ever, El Centro Chamber of Commerce, Desert Trails RV, and more. 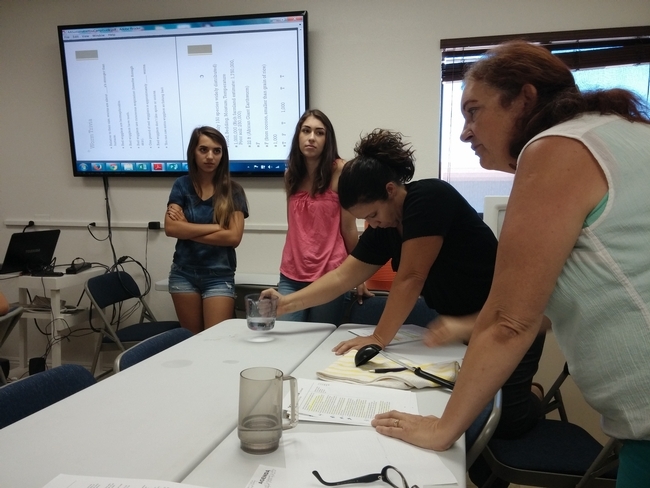 The staff at Farm Smart is grateful for the generous community support it receives, including donation from Imperial Irrigation District, Farm Credit Services Southwest, and Imperial County Farm Bureau. Thank you to all the wonderful Farm Smart volunteers, who donated over 2,000 hours of time in 2017! 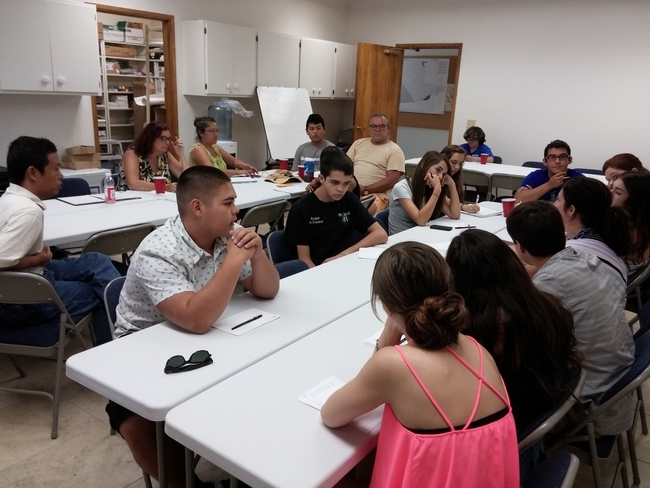 The UC Desert Research and Extension Center is a great resource for the Imperial Valley and the UC FARM SMART program welcomes winter visitors and the public. Regular tours are $25 per person, Sunrise on the Farm in $35, and Dinner on the Farm is $45/person or $75/couple. 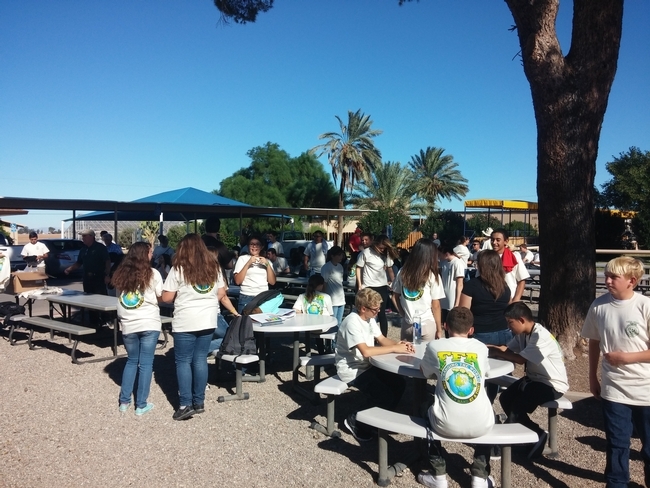 Sep. 19 - FARM SMART hosted 125 beginning agriculture science and FFA students from all over the Imperial Valley as part of the Imperial Section FFA Greehand Conference, designed to foster an interest in agriculture, science, and leadership. 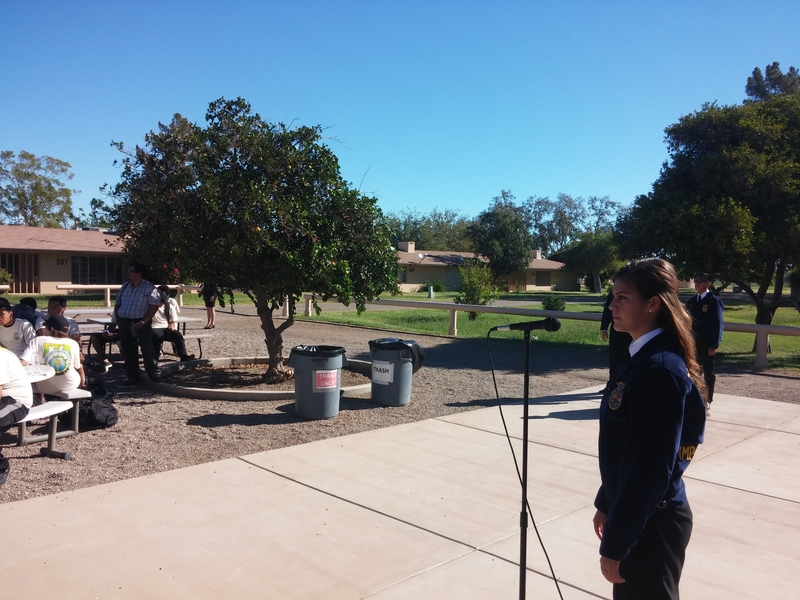 Students were addressed by Dr. Khaled Bali and Dr. Sam Wang who shared experiences and motivated students to choose agriculture and the sciences as a career. Workshops and a research field tour followed. Students confronted the widespread fear of public speaking in a workshop presented by UCCE employee Shanna Abatti, and learned about regional agriculture through a "Crops of the Valley" workshop and the field tour. Learn more about the National FFA Organization at www.ffa.org.